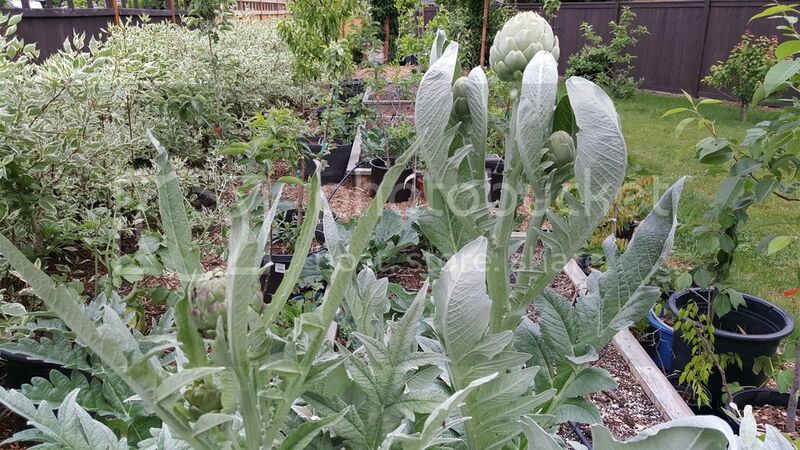 Seattle Garden & Fruit Adventures: When is good time to Harvest Artichokes? 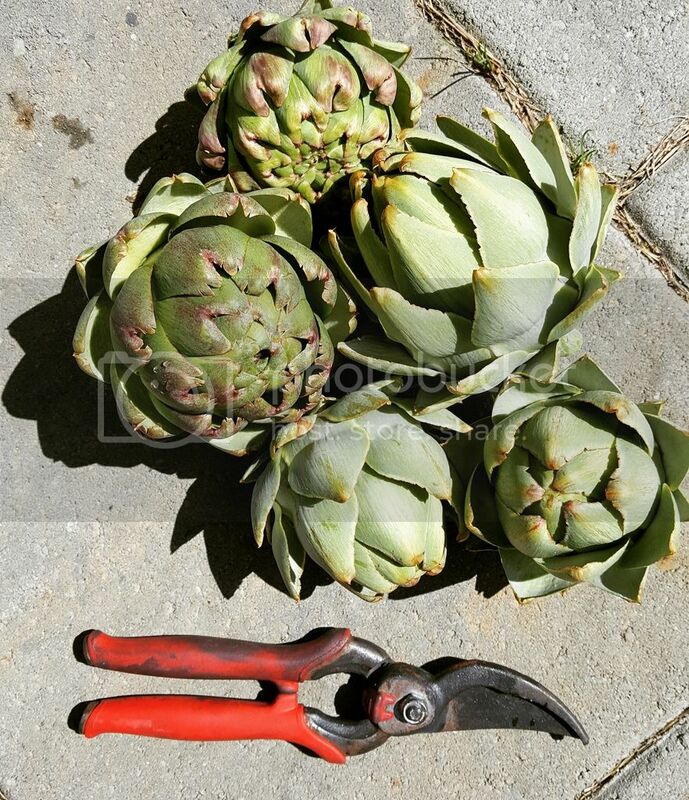 When is good time to Harvest Artichokes? I have to admit that I know very little about artichokes. Does anyone know when the best time is to harvest them? This is the 2nd year for my plant and it's pushing out some very nice growth. 5 new artichokes! Well I guess the best time to harvest is just as they begin to open the bloom.